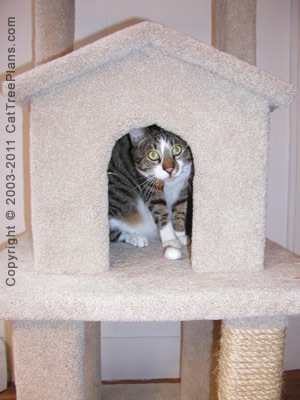 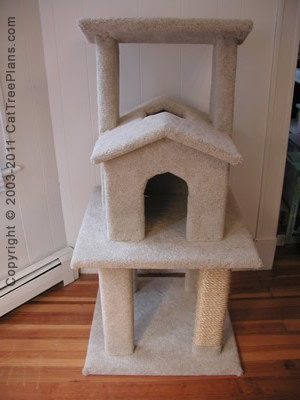 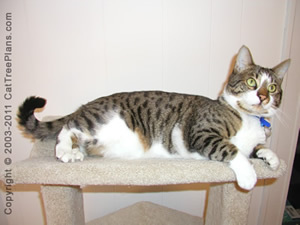 This cat condo features an enclosed house and V shape cat perch. 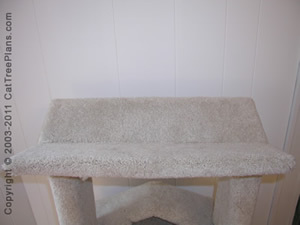 It measures approx 52 inches tall with a 24 x 24 inch base. 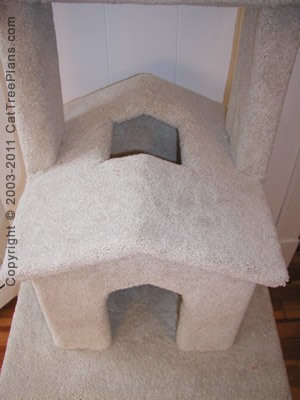 Perfect for those cats that like to hide. 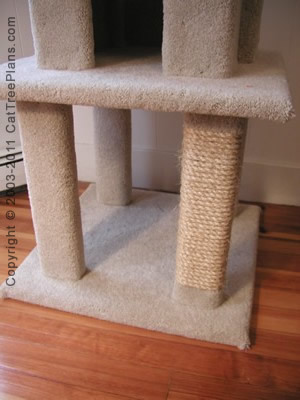 Features a sisal rope cat scratching post.